I arrived at the New York Trek overwhelmed. The event took place on Thursday and Friday – my flight to the UK was leaving Sunday. With my bags far from packed, I left for NYC unsure whether this was the best use of my last days in the US. However, as I make my way back home to Washington, DC, I find myself incredibly grateful for this opportunity to spend time with my classmates ahead of the move. Between commiserating over packing struggles and hearing alumni reminisce about their Cambridge days, I’m feeling pure excitement for the journey ahead. Reflect on the leadership skills you want to improve: Ahead of the program, it’s important to reflect on your personal career journey and identify items that you want to improve during the MBA year. Once the program begins, you’ll want to be focused in order to ensure you aren’t overwhelmed by the experience. Push yourself: The purpose of business school is to expand your skills, not to double-down on topics you already know well. In small groups, don’t just delegate finance assignments to the finance person. The more you work with the experts, the more well-rounded you’ll become yourself. The same principal applies to elective selection in the Lent & Easter terms – don’t choose topics that you covered pre-MBA; instead focus on complementary classes that will strengthen your portfolio. Be smart about networking: Avoid the “spray and pray” trap during your job hunt. Sending a standard resume to a high number of companies will never be effective. Instead, reach out early to alumni and your classmates’ pre-MBA contacts, to learn about the company and build a relationship before you’re looking for a job. The Cambridge Venture Project and Global Consulting Projects are another channel to learn and build credibility before you apply to target employers. The day following the networking event, we began our company visits with Kantar Vermeer, a Millward Brown company focusing on marketing consulting. What impressed me about Kantar Vermeer was the company culture. Even as part of the huge Millward Brown organization, the team had a small company feel with an accessible management team and significant growth opportunities for employees. Our hosts were able to work in offices around the world and to consult on various industries and project types. Up next was Samsung, which was easily the hippest company visit I’ve ever attended. Our visit began with a presentation by Damon Sununtnasuk, a CJBS alum. He oriented us to the diverse groups within Samsung, and the variety of opportunities available to MBAs regardless of Concentration. We discussed how communication worked within a company so large, and learned about their unique “dispatcher” program. Through this program, employees from headquarters will travel to other offices and partner with local teams to ensure projects and presentations are well-received by the global leadership team. We wrapped up our trek with a visit to JP Morgan hosted by another alumnus, Matt Jenkins. 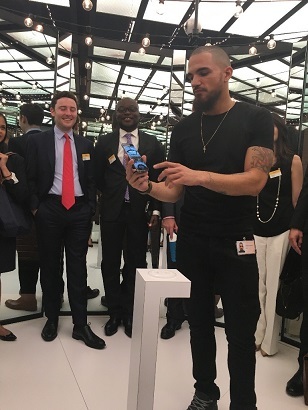 We focused the conversation around how the bank and broader industry is rapidly transitioning towards technology-based products. Given my limited background in finance and data analytics, some components around building derivative models and leveraging coding languages was a bit over my head. However, our hosts emphasized that as an MBA hire at JP Morgan, it’s more important that you understand the structure of how the models are built and how they add value to clients, and not necessarily the nitty-gritty of every component. 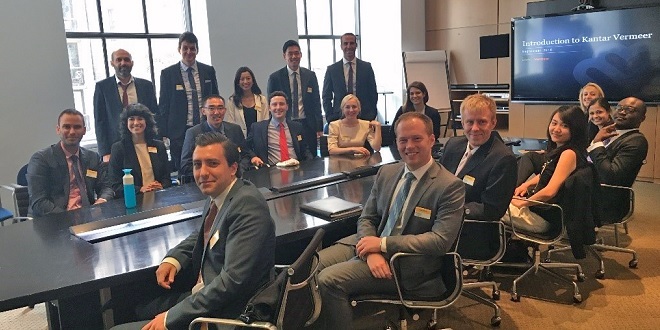 I left the visit inspired by the degree to which JP Morgan’s team was evolving their offerings to fit a changing industry and confident that the Judge MBA program would prepare me to contribute to such an organization. Between the alumni panel and company visits, it was clear that the careers opportunities for my class will be as diverse as the paths that got us here in the first place. This trek pushed me to evaluate industries I hadn’t expected and take advantage of the Cambridge alumni network to identify the programs that best fit my long-term interests.